We have been very happy with both the products & service from Green Building Store. I would have absolutely no hesitation in using them again. The MVHR commissioning work was very good and thorough, which made the Passivhaus certification process easier. We have also had very positive feedback about the MVHR systems from our clients. In fact, the only complaints we have had are that people are worried that they’re not on, because the systems are so silent in operation! The technical expertise of Andrew Farr & Green Building Store’s MVHR department meant that it made complete sense to use Green Building Store for our MVHR systems at the project. We felt that we were working among trusted friends and suppliers with whom we could feel confident in the price and straight and honest dealings. We are also big fans of Green Bulding Store’s water saving products which have proved very robust and reliable on many projects we have worked on. 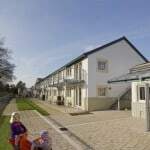 Lancaster Cohousing is a Passivhaus housing development comprising 41 private houses in a car-free site, alongside shared community facilities including a common house, laundry, orchard, gardens, children’s room and play areas, and on-site work spaces for rent. This owner-occupied project evolved through a participatory design process with the individual householders and EcoArc Architects. 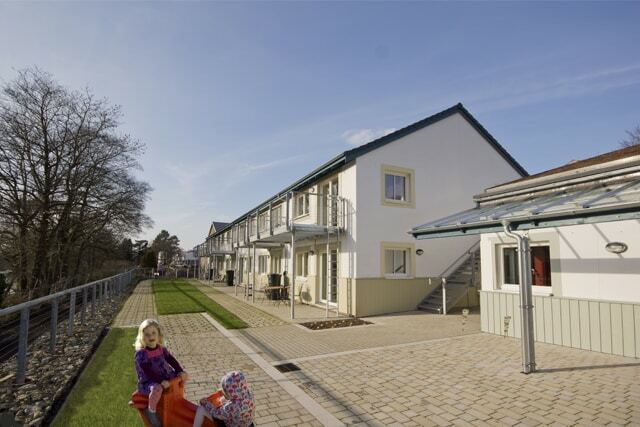 Green Building Store MVHR systems & water saving sanitaryware were specified for the award-winning housing development. EcoArc Architects worked closely with M & E consultant Alan Clarke to develop an M & E schematic for the project. Quite early on in the project Green Building Store MVHR Technical Consultant Andrew Farr was brought in to help design and support the delivery of the MVHR systems for the project. Green Building Store designed, supplied and commissioned PAUL Focus 200 MVHR units to all 41 of the homes on site. In addition members of the MVHR team came on site to offer training to the sub-contractors fitting the MVHR systems, to help them correctly insulate intake ducts etc. Green Building Store is involved in aftercare at the project and is currently carrying out a research project with Alan Clarke at one of the houses, monitoring the effectiveness of humidity recovery heat exchangers. 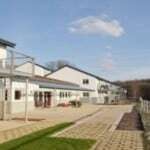 “We have been very happy with both the products & service from Green Building Store. I would have absolutely no hesitation in using them again. The MVHR commissioning work was very good and thorough, which made the Passivhaus certification process easier. We have also had very positive feedback about the MVHR systems from our clients. In fact, the only complaints we have had are that people are worried that they’re not on, because the systems are so silent in operation! Green Building Store also supplied water saving toilets for the project, including the ES4 water efficient siphon flush WCs. Andrew Yeats commented: “We are also big fans of Green Bulding Store’s water saving products which have proved very robust and reliable on many projects we have worked on”.